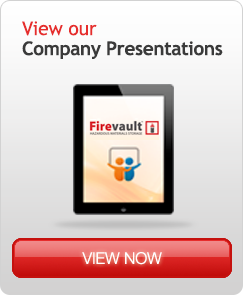 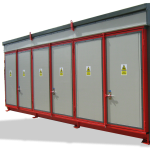 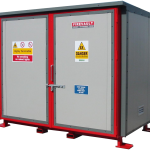 Firevault Flammable Material Stores provide safe and secure storage for all your flammable and hazardous materials. 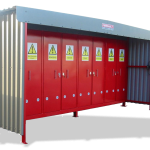 Petroleum Spirits, Paints, Adhesives, Solvents, Inks, Pesticides, Lubricants, Coolants and Chemicals can be stored safely in our fireproof and secure storage containers. 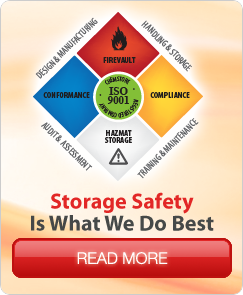 Built under the approved ISO. 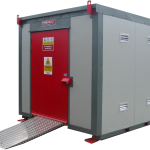 Our Firevault stores have been tested to BS 476, part 22 standards and comply with all relevant Health and Safety Regulations, Insurance Requirements and Environmental Standards such as, ISO 31000, EMAS and IPC licensing. 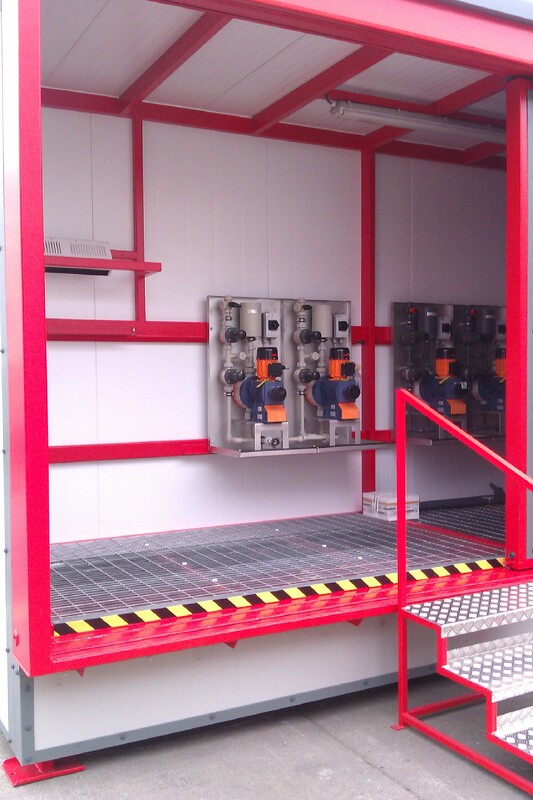 All of our units are built under the approved ISO 9001:2008 Quality Management System. 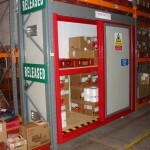 All stores are fully flexible and can be easily relocated on site by Forklift or Crane. 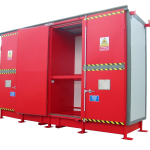 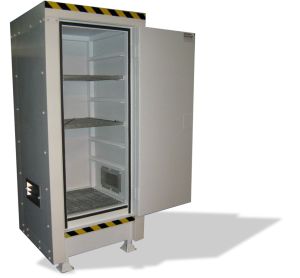 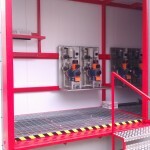 Firevault is also used for the safe storage of critical equipment in zoned areas. 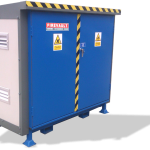 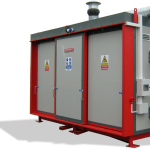 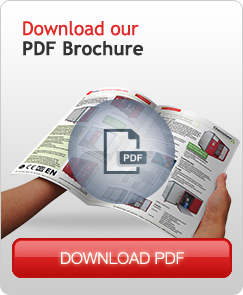 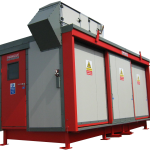 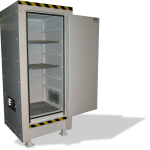 Click here to view our range of critical equipment protection units.